In the third quarter of 2013 the general government deficit widened on a year-on-year basis, as expenditure outpaced revenue. 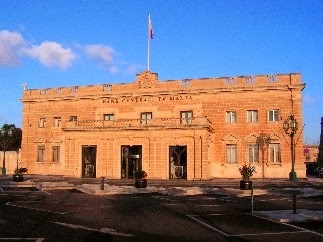 MaltaToday 21/02/2104: The Maltese economy expanded by 1.9% in annual terms during the third quarter of 2013, after having grown by 3.3% in the previous quarter, according to the Central Bank of Malta's quarterly review for 2013. Growth was mainly driven by domestic demand, as net exports increased only marginally. Price pressures in Malta were subdued, with the HICP inflation standing at 0.6% in September unchanged compared with June. Food prices increased at a slower pace, offsetting a less rapid contraction of energy and service prices. In the last quarter of the year, the annual...read on.